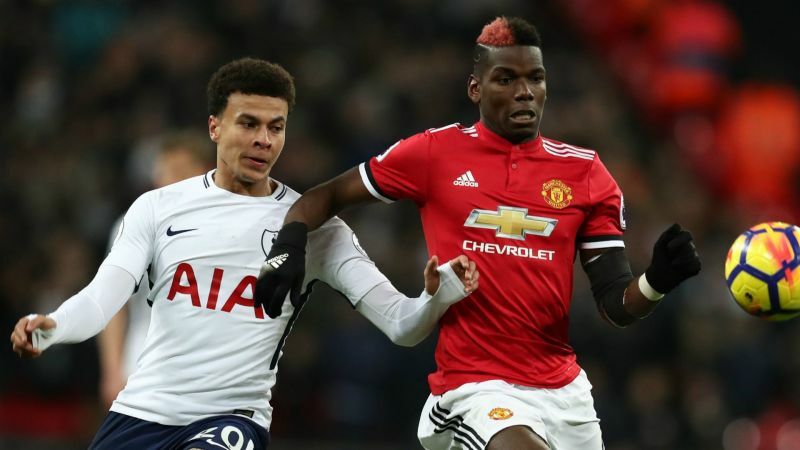 Tottenham midfielder Dele Alli battles with Manchester United’s Paul Pogba. 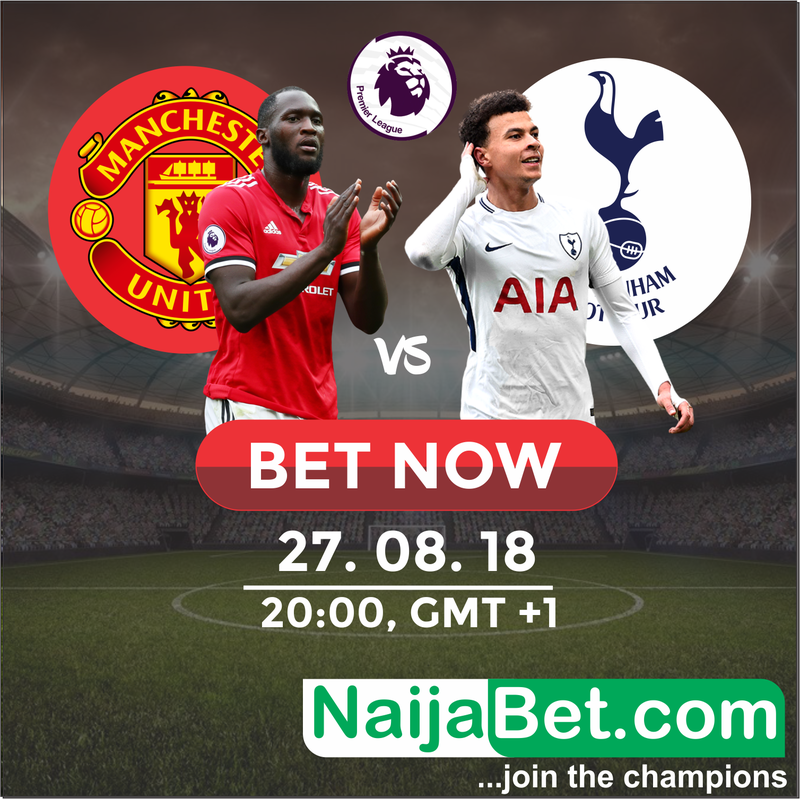 Paul Pogba and Dele Alli will pit their elite match-winning capabilities against one another when Manchester United host Tottenham at Old Trafford. They are two box-office midfielders, game-changing types who mix power and panache with force and finesse to steal the show. Pogba is captaining United after playing a pivotal role in France’s march to 2018 World Cup glory, while Alli’s goal against Sweden propelled England to the semi-finals of the competition – the Three Lions’ best showing on the global stage for 28 years. “Paul said [this], he has to answer for his words,” spat a sharply evasive Jose Mourinho at his pre-match news conference on Friday, in response to a question regarding Pogba’s criticism of United’s and his own attitude in the 3-2 defeat to Brighton and Hove Albion last time out. An hour earlier, chuckling Tottenham manager Mauricio Pochettino was being asked to thrust his fingers towards his eyes again and imitate Alli’s latest goal celebration. “No [I cannot do it],” he said. “I am so honest. If Pochettino and Alli are to predominantly communicate in meme form from now on, it still represents a more fluent back-and-forth to what presently exists between Mourinho and Pogba. The United manager took a pre-season opportunity to laud Pogba’s displays for Les Bleus as a chance to make a widely perceived criticism of the record signing he briefly dropped in favour of rookie youngster Scott McTominay last season. This interpretation irked Mourinho, persuading him to dial up the standoffishness ever since. Pogba, meanwhile, has been uncharacteristically forthcoming. After opening the scoring while wearing his freshly minted armband in United’s 2-1 win over Leicester City, the 25-year-old told reporters he could not freely give an opinion on his present situation for fear of being fined – an intriguing statement against a backdrop of Barcelona links that refuse to go away. It all adds to the impression of an Old Trafford cold war. Mourinho on one side; Pogba on the other with executive vice-chairman Ed Woodward in his corner. Mino Raiola is there somewhere too, stomping across the icy landscape and shouting at Paul Scholes. Of course, the pressures are different at Tottenham. Because, “Lads, it’s Tottenham” as Alex Ferguson once infamously said. The feelgood factor around Pochettino’s expert moulding of a formidable team continues without any prizes to put in the trophy cabinet at the new ground they haven’t quite finished building yet. The glare will never be as harsh as at United for Mourinho and Pogba, though. This does not mean the Argentine tactician fails to be fierce and uncompromising when he has to be. The Pochettino era at Spurs has been notable for a willingness to move star individuals on if they are no longer seen to be completely beneficial or vital to the collective. In Brave New World, Guillem Balague’s diary of Tottenham’s 2016-17 campaign, Pochettino is often found pondering the balance of carrot and stick in his management of a prodigious Alli. There have been opportunities to lambast a 22-year-old footballer who has erred notably. But even when Pochettinho criticised him for simulation, it was more in the manner of a wise and caring father placing an arm on the shoulder. Alli has been called the best player of his age in the world by Pochettino and it hardly seems to matter whether he really believes it or not. There is a sense Alli would run through a brick wall for his boss, just like those star men in Mourinho’s great Chelsea and Inter sides. Monday at Old Trafford would be a good time for Mourinho to tap into what remains of that aura, leading to one of those narrative flips he so adores. As it stands, the contrasting relationships between the coaches and their star midfielders could be driving their managerial careers in divergent directions.